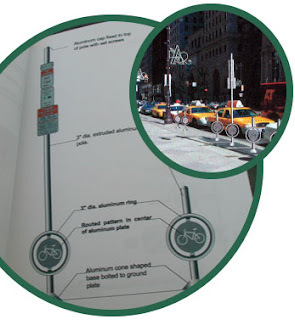 In 2003 Industrial Design Studio at the University of the Arts held a bike rack design competition. The rack installation never received to political support needed for implementation. With the BCGP's new focus on bike parking and a new administration perhaps it's time to revisit putting well crafted and exciting racks on Broad Street.